The Ballad of Fred Hersch is an intimate portrait of one of today’s foremost jazz pianists. With more than 30 albums and 10 Grammy nominations, Hersch is internationally revered in jazz circles as a master improviser. A maverick in music and in life, he was the first jazz musician to come out as gay and HIV-positive in the early 1990s, and he miraculously survived a two-month coma in 2008. Both exacting and full of love, our unfettered cameras capture Hersch’s creative process as he does double duty as a workaday jazzman and first-time theater producer—turning his tragedies into triumphal art. Available on Video On Demand. 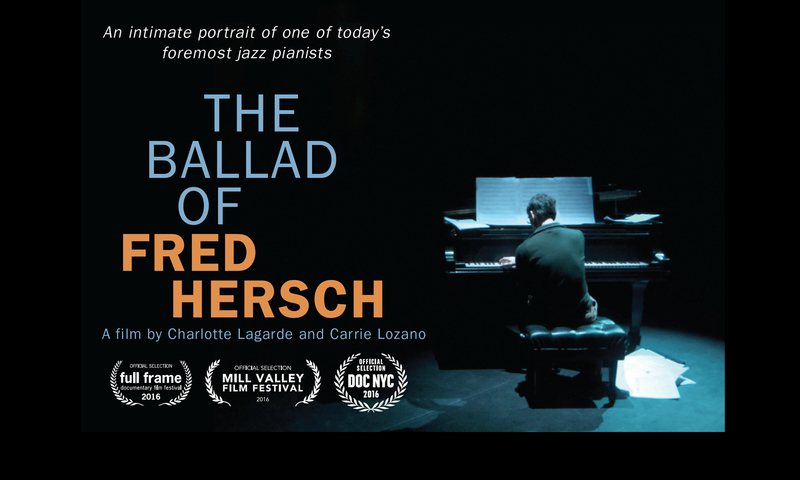 THE BALLAD OF FRED HERSCH is available for HOME USE ONLY via Video On Demand (VOD) on Vimeo. It will coincide with the publication of Fred’s memoir GOOD THINGS HAPPEN SLOWLY. Order your copy of the book now. THE BALLAD OF FRED HERSCH is available for screenings at festivals, community centers, schools, conferences and organizations. Contact us to host a screening.